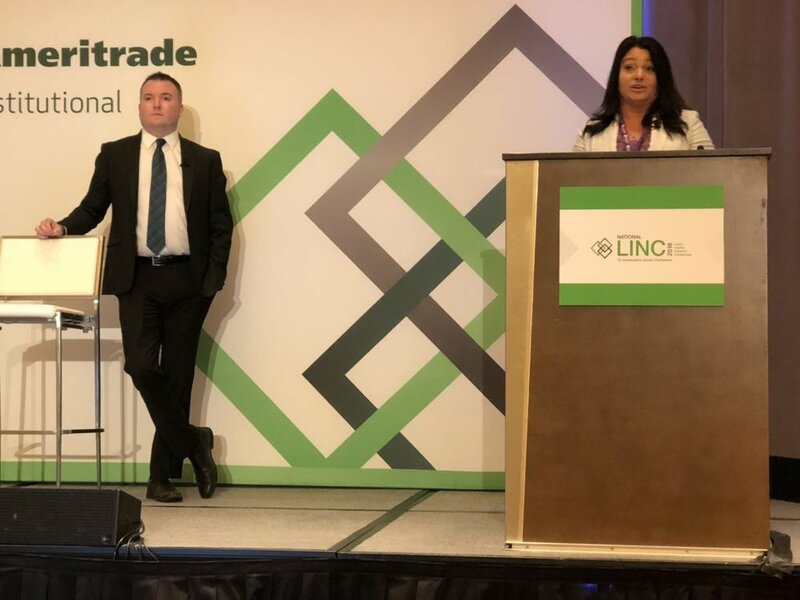 On January 31, 2018, members of Firebird AST’s Commercial Risk Management and Intelligence practice presented at TD Ameritrade Institutional’s annual National LINC Conference in Orlando, Florida. Marie Fulop, MS, CFE and Stephen Dougherty, CFE delivered a timely and topical presentation to Regional Investment Advisors associated with TD Ameritrade on the emerging fraud scheme of Business Email Compromise (BEC), an elaborate threat in which hackers infiltrate the IT infrastructure (email system) of companies that perform regular high value wire transfers. The privileged information gleaned from the intrusion is then used to get victims to unwittingly send wire transfers to fraudulent bank accounts. In the past three years, BEC fraud schemes resulted in at least 40,000 exposed incidents resulting in over $5.2 Billion in loss. BEC presents a significant threat to financial institutions across the globe. The information delivered in the presentation educated Wealth Advisors and Investment Managers on the complexity of the fraud scheme, how to detect and defend against this threat, and steps to take if a BEC is encountered. Firebird delivered this presentation to equip advisors to better protect their clients’ hard-earned wealth and the future of their investment practice. Firebird AST is an award-winning Service Disabled Veteran Owned Small Business (SDVOSB) headquartered in Falls Church, VA. It provides mission-centric support to the Intelligence, Defense, Homeland Security communities (at home and abroad) as well as commercial financial services firms by providing highly specialized analysis, targeting, and investigative services to its clients. Firebird AST…wherever you need us, we are there.